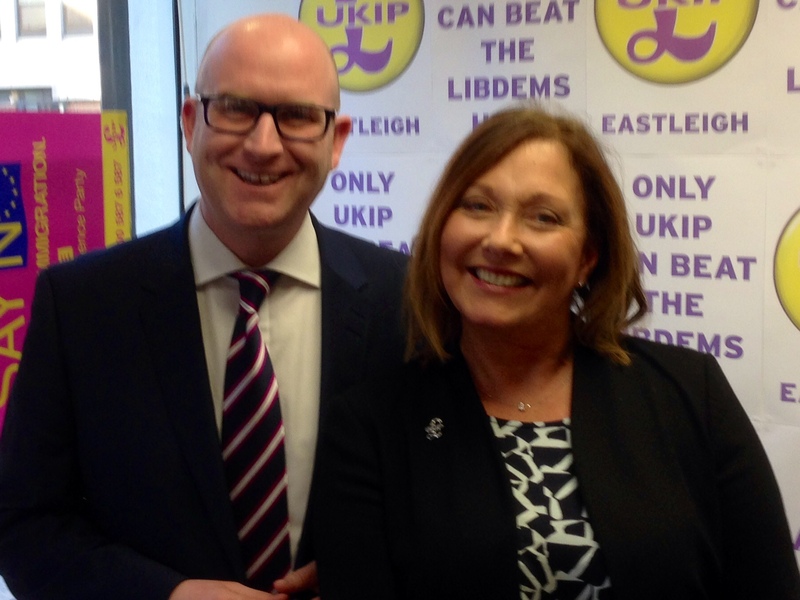 Ukip’s second in command Paul Nuttall has visited Eastleigh for a meeting with local activists and voters at the town’s Railway Institute. The Ukip Deputy Leader told a packed hall that it would be much better for the UK if we could have a free trade agreement with the EU instead of a political union and rule by “unelected EU commissioners”. He said that continued EU expansion plans would dilute UK voting power even further. Nuttall also told the audience that only Ukip wanted a “truly fair” referendum on EU membership. “Important local issues such as building on greenfield sites against residents wishes would be much less of an issue if we could control migrant numbers. “Migrants from all over the world, bringing the skills we need in numbers we can happy integrate. After what she wrote, I don’t think she should be standing. The least Ukip can do is replace her with somebody who hasn’t made such a large error of judgement this early into the election campaign. Too late now. Deadlines for nominations closed at 4pm on Thursday. If you don’t approve of what she tweeted, don’t vote for her. Though I doubt that you were inclined to anyway…. Is that the same Paul Nuttall who a year ago opposed the “very existence” of the NHS and then removed the comments from his web site?